Single Sign-On Support for Amazon IAM is now live! Home » Blog » Product Updates » Single Sign-On Support for Amazon IAM is now live! 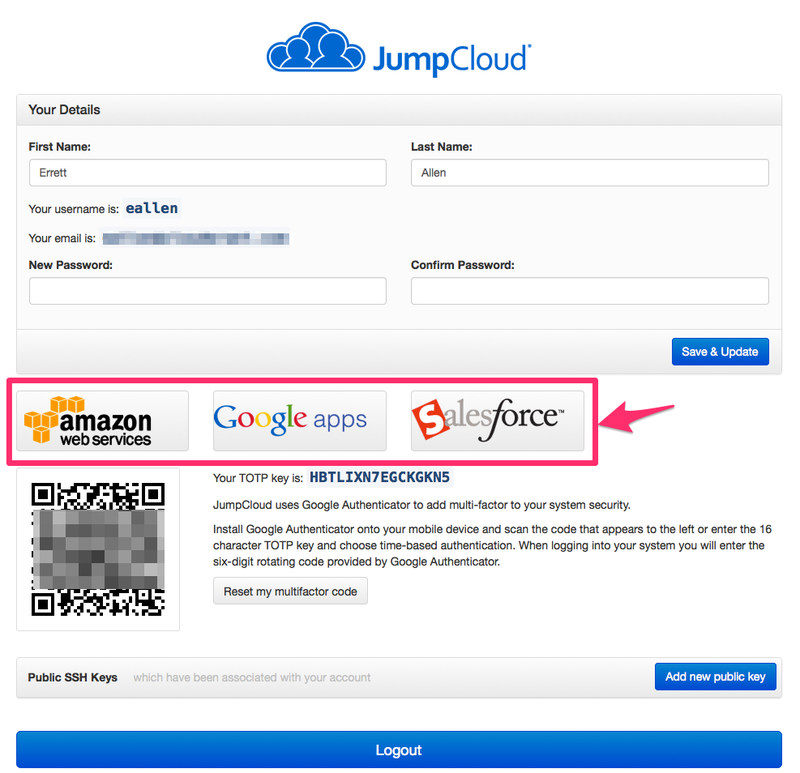 Less than a month ago, the JumpCloud product team announced our support for SAML-based single sign-on (SSO) which leverages JumpCloud as the identity provider to authenticate and authorize users with Google Apps and Salesforce. Today, we’ve expanded that list by introducing support for Amazon Identity Access Management (IAM). JumpCloud’s single sign-on (SSO) implementation enables employees of your organization to access industry leading SaaS applications with one click, leveraging their identities managed within JumpCloud’s directory. 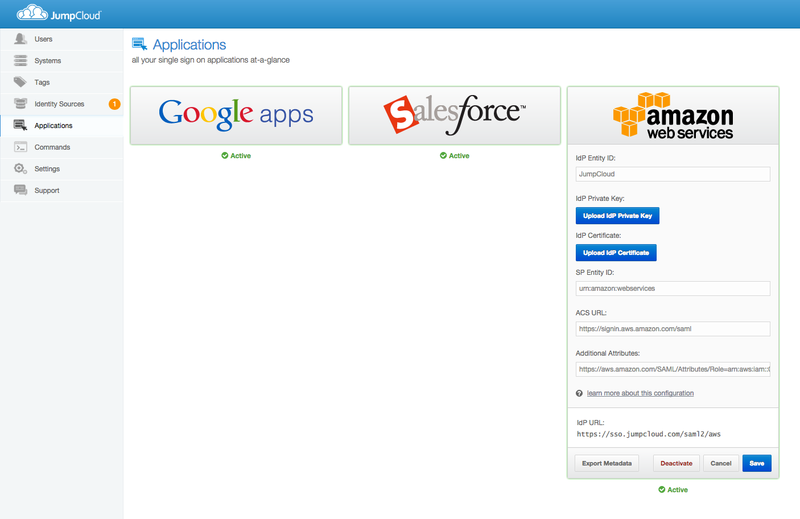 JumpCloud supports Google Apps, Salesforce and now Amazon IAM. A roadmap of additional Service Providers is available from your Account Representative. JumpCloud’s SSO support is underpinned by the open SAML 2.0 protocol. Administrators who have integrated applications via SAML will find JumpCloud’s configuration screens and set up straight forward. The Admin will configure the Service Provider (SP) to enable JumpCloud to act as the Identity Provider (IdP) for single sign on. Please see these articles in our knowledge base for a step-by-step walk through on setting up integrations for the various SPs supported by JumpCloud. The SP configuration screens are accessed in the new ‘Applications’ tab located in the side navigation tree as seen here…. In addition, the System User Console as seen by the users managed in the Directory, will also have launch points for each of the Applications supported by JumpCloud and configured/activated by the JumpCloud Administrator. The product team has an aggressive roadmap of new features forthcoming so stay tuned to the Engineering Blog for more updates.